Published by Cyril Huze April 24th, 2017 in Builders, Customs and Editorial. 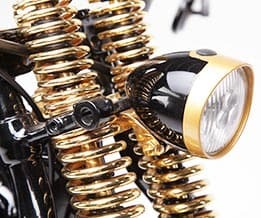 Motorcycle advertising campaigns with a great consistent theme have produced great sales to consumers. 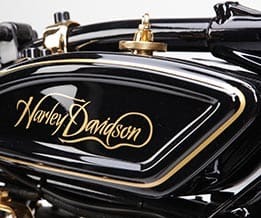 Having a deep education and professional background in marketing and advertising to which was mixed my love for motorcycles, with a few others in the current custom industry I am over appreciative of what Harley-Davidson has accomplished in terms of popularity, culture and respect all over the world. And when Customs Builders volunteer their know how to enrich and extend this H-D branding without betraying it, it makes me happy…To be simple, where marketing is to sell a motorcycle, pushusing it to consumers, branding aims to establish a significant and differentiated presence in the market that attracts and retains loyal customers. 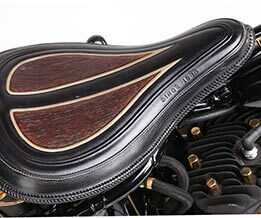 What a better example than the desirable characteristics bred or rebred into the Harley WL. Like others, I am convinced that this H-D model owns an indestructible/forever immortal bloodline. I don’t mind that some will not find this WL period-correct, or too Bobber or too Bling or whatever of your choice. 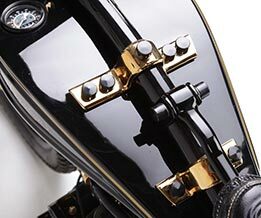 Branding is the expression of the essential truth of an organization like Harley-Davidson . Flash back to 1931. 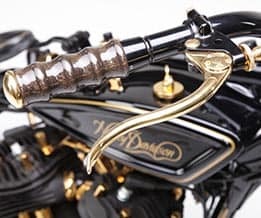 All of Harley-Davidson’s remaining American competition is now gone except Indian (Hendee Manufacturing) and Harley-Davidson, the only two American motorcycle manufacturers until 1953. At that time, the scene was mainly a game of choosing between Miles or Speed. Joe Petrali begins a five-year consecutive streak of winning the AMA Grand National Championship. Petrali also wins the National Hill-Climb Championships for 1932 to 1935. Joe Petrali and his Harley-Davidson peashooter win all thirteen of the American Motorcycle Association National Championship dirt track races. 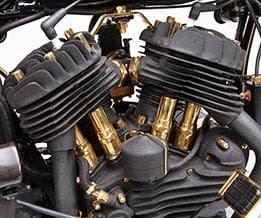 In 1936, Harley-Davidson introduces the EL, an overhead valve, 61 cubic inch powered bike. 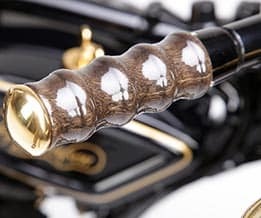 With increased horsepower and bold styling changes, the motorcycle quickly earns the nickname of “Knucklehead,” due to the shape of its rocker boxes. Of course, dedication and persistence are the names of the game and just as an illustration. 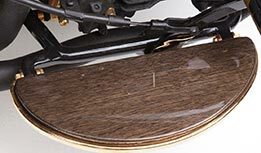 this custom WL is in big bart a very patient process of straightening, of smoothing out, of “true” gold plating and hardwiring with all the risks involved in working with such a soft, malleable, and ductile metal… Add to this very preciously curved wood parts, an another material very little used on motorcycles and requiring to be a great artist. Admire handgrips, floorboards, kicker pedal, shifting, etc. Under the right light at night, it looks like a very light elegant Duesenberg, You know the type of vehicles creating a non-breakable brand bloodline for generations to come . (photos @ Gerd Scheidel at Studio 1, text with help Horst Röesler written by Cyril Huze, model Jaqueline). 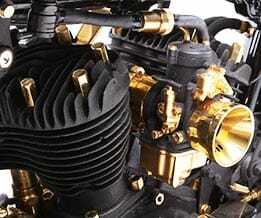 Completely restored motor, gold-plated, details, nuts & bolts. 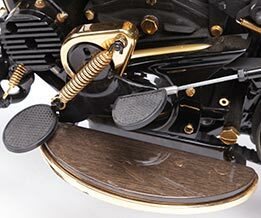 Completely restored motor, gold-plated details, nuts & bolts. 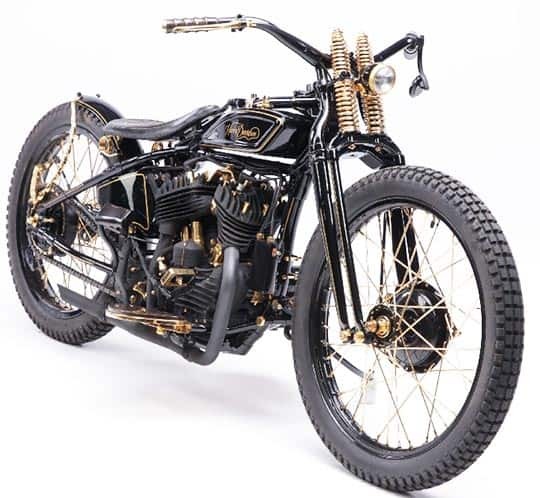 This entry was posted in Blog and tagged 1936 WL, bobber, classic, flathead, Girder, harley davidson, hell on wheels, hill climb, JD, old school, Springer, tracker, vintage, WL.